I can’t believe it’s already half way through August, this has been a very fast and very strange summer. 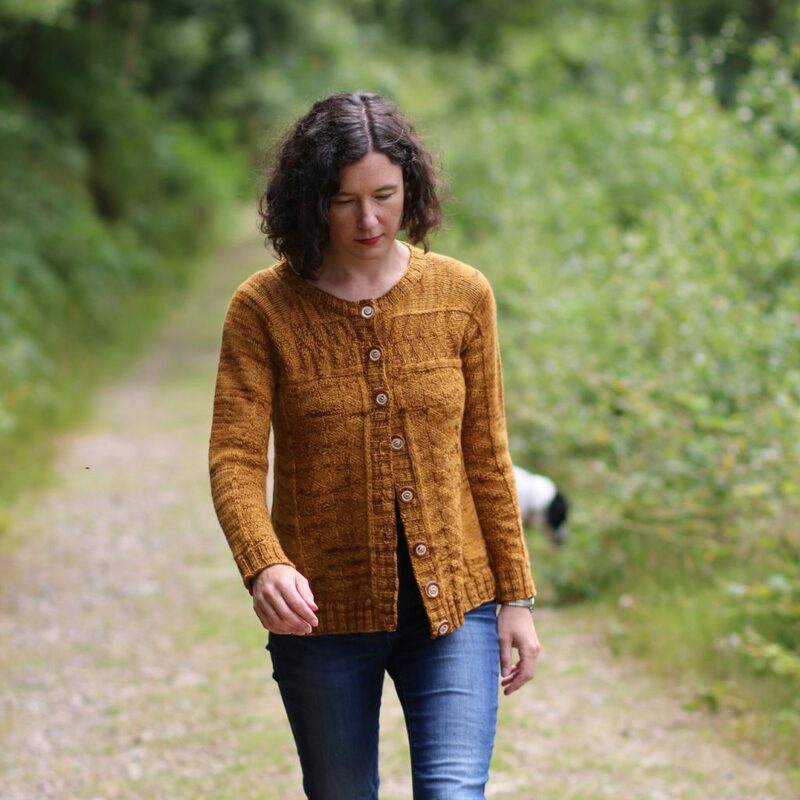 One good thing about summer coming to an end is that it’s nearly time for our autumn KAL! I think you’re going to enjoy the Camira cardigan, it’s got some fun, unusual construction going on. For this KAL I’m teaming up with Blue Moon Fiber Arts who provided the yarn. The cardigan is knit using their brand new Cake Worsted which is a 100% merino and is as fat and squishy as a sponge cake. The colour I used is Chana Masala which is a semi-solid colour in a brown/terracotta/orange. It’s really pretty and shows off the pattern stitch very nicely. So how is this cardigan constructed? It starts with that patterned back panel at the neck. You knit that down to the bottom of the yoke and from there you knit the sleeve out each side. This has an unexpected benefit, normally sleeves are the boring finishing stage so somehow it’s very satisfying to get them done nice and early! Once that’s done you do the body and the edging. The cardigan has got minimal shaping so I’d suggest some positive ease to allow for a comfortable fit. The a-line body has a nice amount of swing that makes it a really easy one to wear. If you want to play with a more variegated yarn it could be fun as the cardigan is worked in a few different directions. The huge skeins of Blue Moon make matching colours a breeze, the only place you’ll need to alternate and combine skeins is on the body. 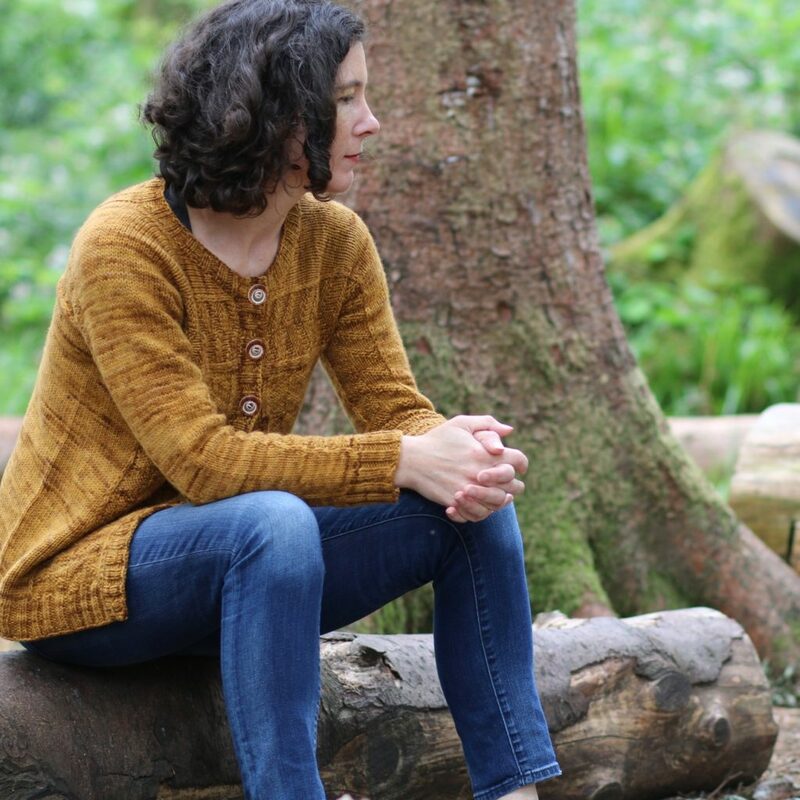 When you buy the pattern the inital information pdf will have pattern, sizing and yarn information as well as a 15% discount code from Blue Moon Fiber Arts for Cake Worsted and Targhee Worsted. They ship worldwide but if you are in Europe and want something more local you can check out Pemboke Worsted or Malabrigo Rios. (Check out your LYS as well for Rios as it’s widely stocked). If you haven’t done a KAL with me before you can find more details here on how they work. 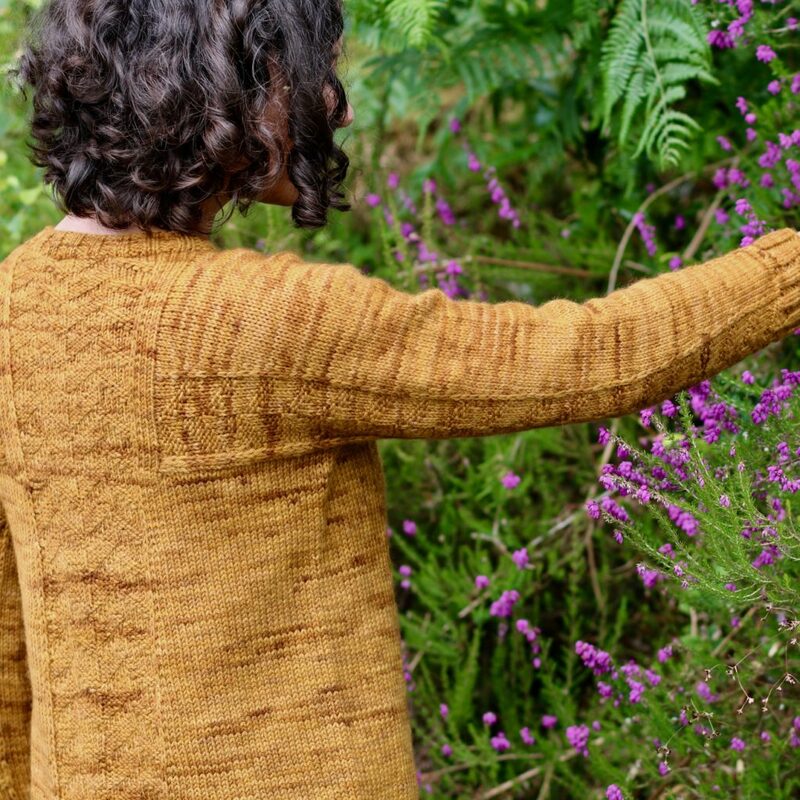 If you want to be the first to hear about the KAL make sure you’ve signed up for my newsletter (there’s usually a newsletter special discount as well!) Pre-sale will start later this August and the first clue will go live early October. Get your needles ready! Am wanting todo the camira kal. Have never done a kal before and font know how to introduce myself. Help, please.